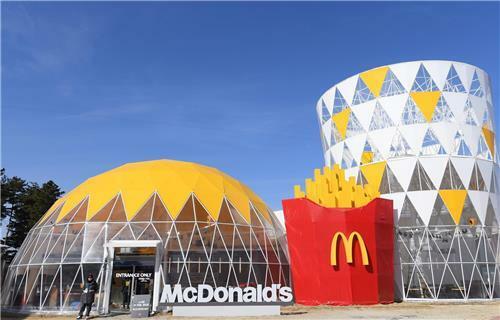 On February 8, McDonald’s announced the opening of new store designed especially for 2018 PyeongChang Winter Olympics. 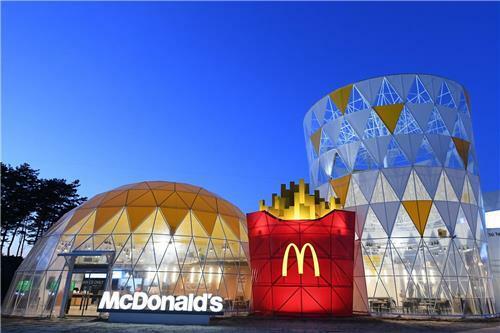 The new store, which will be open for the games only, is built in the shape of the fast food franchise’s signature value meal for the first time in the world. The 480 square-meter store, which is comprised of three connected buildings in shapes of burger, fries, and soft drink, has 160 seats. As an official partner for 2018 PyeongChang Winter Olympics, McDonald’s is operating two special stores for the global event. The Olympic Village store, which opened earlier this month, offers free meals to athletes and coaches visiting PyeongChang for the Winter Olympics.